It’s been a busy summer for the new Sitting Spiritually ‘Simon Thomas Pirie Contemporary Range’ after its launch at the Chelsea Flower Show. The Floating Bench was shortlisted for the RHS Chelsea Garden Product of the Year which gave it a very high profile, and although we didn’t win the public & press reaction was terrific. Needless to say we have been busy making them to fulfil Sitting Spiritually orders ever since. The new range, and in particular ‘Floating Bench’ has also gone down very well with garden designers; hot on the heels of success at Chelsea Flower Show a pair of Floating Benches featured in the Gold-medal winning CCLA ‘Summer Retreat’ garden at RHS Hampton Court. Designers, Amanda Waring and Laura Arison of Catfoot Garden Design were inspired by the ethos of the Arts and Crafts Movement; the garden embracing its values of simplicity, elegance, style and craftsmanship. The Floating Benches beautifully illustrated the quality of contemporary British design and craftsmanship whilst their ‘barely-there’ appearance allowed the planting to be viewed virtually uninterrupted. Catfoot Garden Design’s ‘CCLA Summer Retreat Garden’ which won a Gold-medal at RHS Hampton Court incorporated two 2-seat Floating Benches in the design. 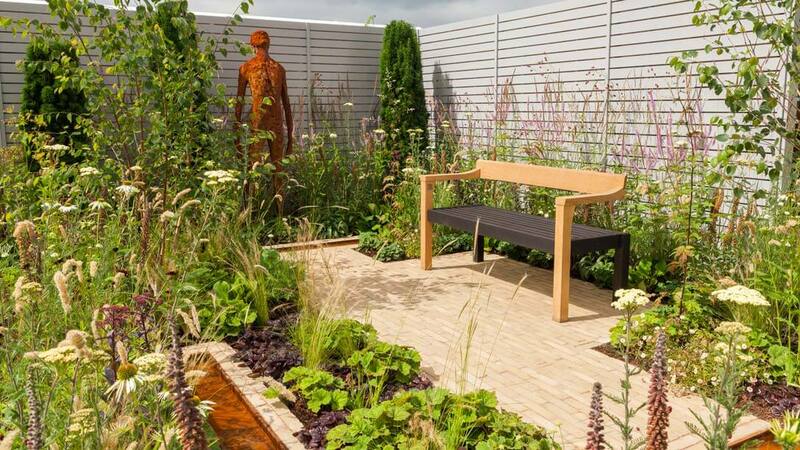 There was hardly time to catch breath until the opening of RHS Tatton Park (from 20th – 24th July), and once again a Floating Bench is in another RHS Gold-medal winning garden! This time it subtley makes its presence felt without dominating the ‘Waiting List’ show garden. 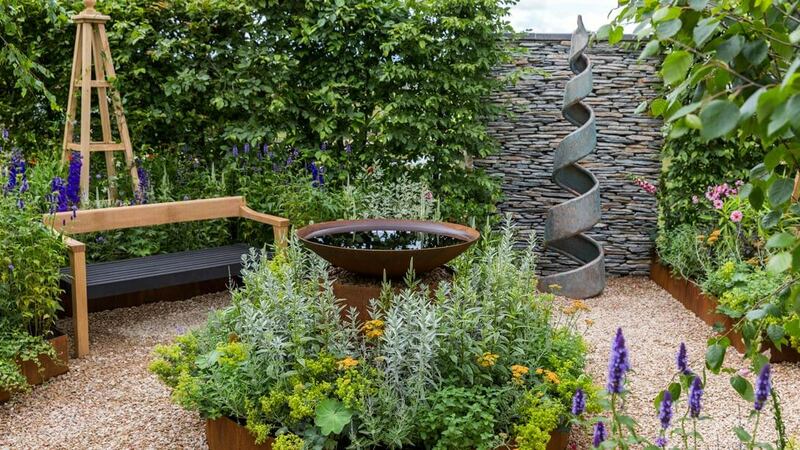 Designed by Alison Galer, once a transplant nurse, this uplifting and calm garden has been created for patients who are waiting for a kidney transplant. The Floating Bench provides somewhere for patient and nurse to sit and talk surrounded by the beautiful planting and tranquility. A single 2-seat Floating Bench at RHS Tatton Park. Florence Garden Design’s ‘Waiting List’ garden was also awarded a Gold-medal by the RHS. Not sure if the Floating Bench has become a bit of a garden designer’s lucky charm or whether Martin Young of Sitting Spiritually has a sixth sense to just back winning designers. Whatever it is 2016 certainly has been quite a year for the Floating Bench! The story of how the Simon Thomas Pirie / Sitting Spiritually collaboration came about is featured in a previous feature on this blog. Click to read more. But you can also get a feel for the collaboration in our latest short film – from design, though the making, steam bending and scorching right up to when Martin from Sitting Spiritually delivers the furniture into the clients garden.